A person is allowed to file a suit if he or she is the decedent’s spouse, domestic partner or children. If those people who are directly in the person’s line of descent do not exist, then the person’s parents, siblings or others who would stand to inherit through intestate succession may file. If people, such as stepchildren, a putative spouse or the decedent’s parents can show that they were financially dependent on him or her, California law also allows them to file a wrongful death civil lawsuit. 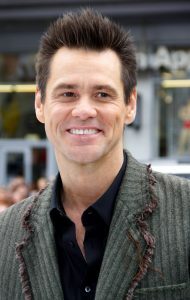 In order to prevail in his claim, Burton would need to show that Carrey’s actions were wrongful or negligent and that his actions directly resulted in White’s suicide. In the lawsuit, Burton alleges that Carrey gave White Percocet and Ambien that he had obtained under a false name. Burton claims that Carrey did so while knowing that White had a history of suicide attempts and suffered from depression. He points to a text message sent by Carrey asking White where his medication was, claiming that the message was sent after Carrey had given her the pills in an effort to cover up the fact that he had done so. When there is a break in the chain of causation, then there is no direct cause linking the allegedly wrongful or negligent act and the person’s death. In the case of a suicide, which is a willful action taken by a deceased person himself or herself, the cause of death would be the intentional act of the decedent rather than any act by the initially wrongful or negligent one. Since White committed suicide, that intentional act on her part effectively breaks the chain of causation between Carrey’s alleged provision of his prescription pills to her and her death. The other claim alleged in the complaint is a violation of the Drug Dealer Liability Act. This act allows families to recover damages from drug dealers whose actions lead to their loved ones’ deaths or serious injuries. Under California Health and Safety Code § 11701, the purpose of the law is to allow people to recover from those who are involved in the sale or marketing of illegal drugs. Even if Carrey gave his girlfriend some Ambien and Percocet, it appears to be a stretch to claim that the purpose of this law would be to allow Burton to recover damages from him. The law is geared towards the punishment of drug dealers. Carrey is sure to paint Burton’s claims as an effort to shake him down for money. It does appear to be a lawsuit that has been filed by a plaintiff who is opportunistic. Even if the case might ultimately be defeated by Carrey if it was litigated, many celebrities in similar situations instead settle such cases in order to avoid embarrassing and highly public cases. Like others, Carrey may end up settling the case in an effort to move beyond it no matter how distasteful that might be to him or how frivolous the lawsuit itself may be.